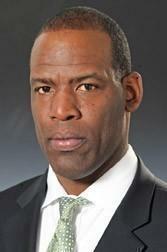 Eastern Michigan University has relieved head football coach Ron English of his duties. "At this time, I have decided that a change in the leadership of our football team is necessary", EMU Athletic Director Heather Lyke said in a statement. English's record in 57 games at the helm of the Eagles football program was 11-46. The team is 1-8 this season. Lyke also announced that Stan Parrish will serve as interim head coach. In 13 years as a collegiate head coach, Parrish is noted for a 63-60-3 career coaching record in stints at Wabash (1978-82), Marshall (1984-85), Kansas State (1986-88) and Ball State (2008-10). Parrish has been EMU's offensive coordinator and quarterbacks coach. He also served as head coach of the Ball State University football team from 2008-2010. He was an assistant coach for the 1997 National Championship team at the University of Michigan, and and assistant with the Tampa Bay Buccaneers when they won Super Bowl XXXVII.